With the deadline looming for the removal of ice huts on Lake Simcoe, southern Ontario’s hardwater season was all but over early last March as I headed to Toronto’s Pearson International Airport. Winter itself, for that matter, had largely melted away, with the spring equinox just two weeks away and temperatures having already reached the teens in February. I hadn’t had my fill of ice fishing yet, however, so I was leaving Dodge to get it. 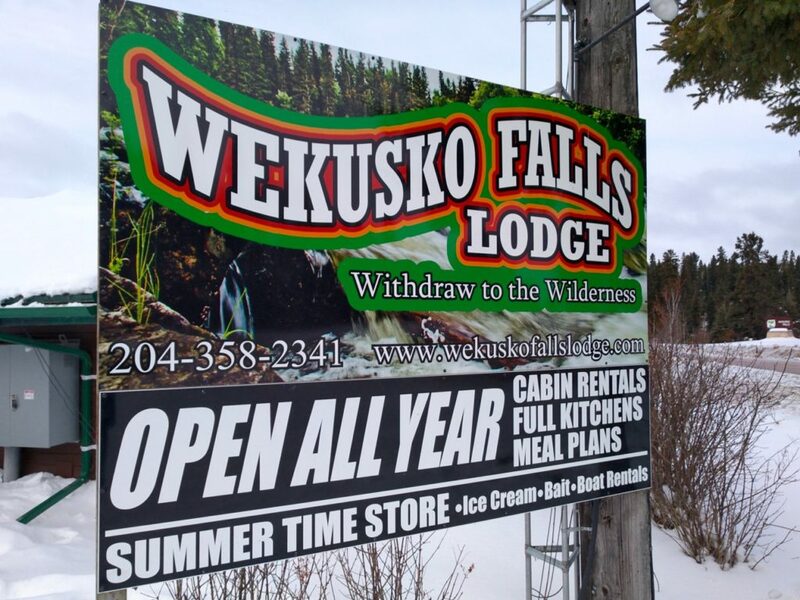 My ultimate destination was Manitoba’s Wekusko Falls Lodge, some 700 kilometres north of Winnipeg. First, though, I would be making an overnight pit stop in Saskatoon to meet up with my buddy Ted Cawkwell, and together we’d make the seven-hour drive to Wekusko, wending our way through Saskatchewan’s rolling prairie lands and into northern Manitoba’s lake-dotted Precambrian Shield country. Unlike back home in Ontario, winter was tenaciously holding on in Saskatchewan as we began our drive on March 3, setting out early in Ted’s GMC Denali to get ahead of an impending blizzard. And winter greeted us in Manitoba, too, with hefty snowbanks still straddling Highway 10 as we hooked north just inside the border at The Pas for the final 200-kilometre leg to Wekusko. It was after dark by the time we finally arrived at the lodge, where we were greeted by owners Bryan and Elissa Bogdan. Bryan (above) had actually worked for Ted years ago in another life, when Ted founded northern Saskatchewan’s Milton Lake Lodge and Bryan was an itinerant fishing guide. Things are much different these days: Ted is now a highly successful agriculture realtor, and Bryan is himself a lodge owner, having taken over the operations at Wekusko with Elissa in 2010, a year after the couple got married. But Ted and Bryan have remained friends and stayed in contact, with Ted first visiting the lodge three years ago to check out the ice fishing. In fact, it’s safe to say Ted is also quite the fan of his old friend. “Bryan is Wekusko Falls Lodge,” he later told me. “His personality and drive make any trip there amazing. Besides wanting to enjoy sharing fishing stories with Bryan, I knew that we would be well looked after. He is always happy, positive and well organized. Plus, he has a great line of equipment.” By the end of our trip, I had to agree with Ted’s assessment. 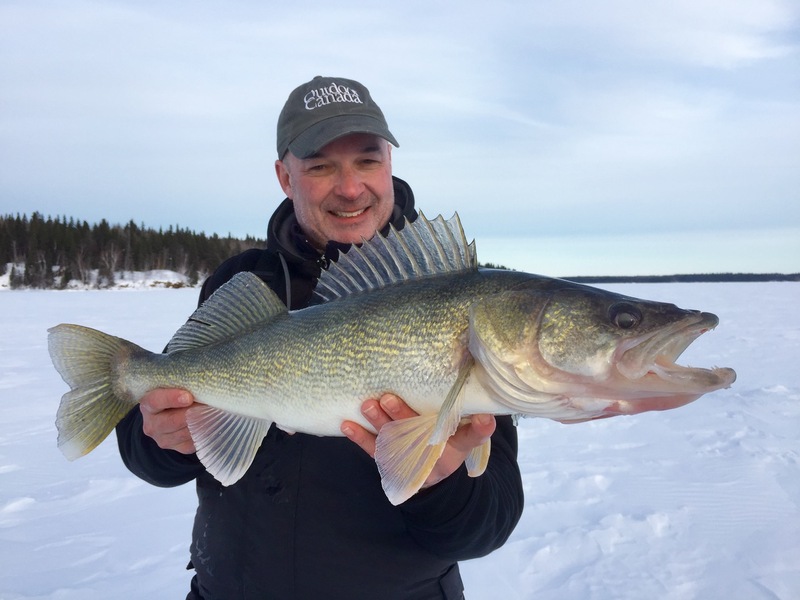 After finishing one of Elissa’s signature home-cooked meals and making a game plan for the morning—we would fish for walleye on nearby Wekusko Lake—Ted and I made our way to our warm cabin to prep our gear and settle in for the night. Our breath hung in the crisp -15°C air and the snow crunched underfoot, yet more reminders that winter still had northern Manitoba firmly in its frosty embrace.